Across a broad range of taxa, arginine vasopressin and oxytocin and their non-mammalian homologues influence a diversity of social behaviors, including mate attraction, affiliation, territorial aggression and memory. Vasopressin’s influence on these behaviors is chiefly mediated by the receptor subtype V1aR, while oxytocin is regulated by its receptor OTR. Not surprisingly, OTR and V1aR are expressed throughout the forebrain in many of the regions that are involved in reward, learning, and social behavior. Our lab is interested in exploring the individual variation in these peptide hormones and their receptors, and understanding the behavioral and fitness consequences of this variation. Individual variation and the monogamy suite. Mammalian monogamy is typified by affiliation, parental care, and territorial aggression. Current research has shown that these component behaviors may share more in common than simply contributing to monogamy. Many of the same neural structures in the forebrain that contribute to these behaviors share common modulatory mechanisms. For example male prairie voles (Microtus ochrogaster) are affected by the action of arginine vasopressin (AVP) on V1aR in many parts of the forebrain. Specifically, vasopressin in the lateral septum and ventral pallidum appears to mediate affiliation, paternal care and aggression in various mammalian species. One problem, however, is that much of this work has investigated these components in isolation. Our research approaches ‘monogamy’ as a suite of behaviors that are best studied in concert as a system, rather than as disparate behaviors. Because one must understand how and why behaviors operate in natural conditions to understand how and why behaviors are expressed in general, our research aims to explore existing variation in field behavior and the nonapeptide system of male and female prairie voles. To this end, we combine a broad range of methods and techniques from the field and lab including radio-telemetry, paternity analysis, autoradiography, qPCR, and in situ hybridization. Mechanisms of social attachment, socio-spatial memory and successful mating tactics. A second goal of our current research is to identify the roles of neural structures that have been repeatedly implicated in the involvement of behaviors typical of monogamy (such as the lateral septum, ventral pallidum, and nucleus accumbens) and to understand how areas not typically associated with monogamy (such as the hippocampus, and retrosplinial cortex) may shape the reproductive decisions that animals make. We are using Antisense RNA to silence the expression of the genes coding for V1aR and OTR. By exposing receptor-silenced and control males to an array of behavioral tests we investigate various aspects of socially monogamous behavior including: pairbond formation and maintenance, paternal care, and aggression toward unfamiliar individuals, mates, or offspring. 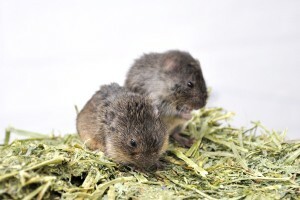 Furthermore, because we know prairie voles have two behaviorally distinct alternative mating tactics (monogamous residents and non-monogamous wanderers), which appear to heavily rely on the animals socio-spatial cognitive capabilities, we are interested in manipulating structures believed to influence spatial memory and social memory to tease apart the influences of V1aR and OTR in facilitating reproductive success within each mating tactic. Understanding how and where such mechanisms operate will provide a clearer picture of the neuroendocrine control of social behavior and reproductive decision-making, and may provide insight into treatment of human disorders deficient in social attachment (such as autism) and those associated with excessive aggression (such as conduct disorder, psychopathology or domestic abuse). 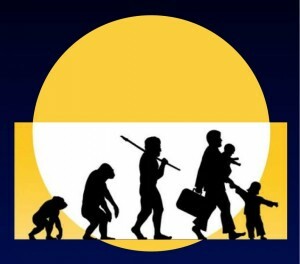 Developmental influences on social behavior and social memory. Early experiences with the social environment during development can have profound effects on how the brain is organized. These ontogenetic experiences can have cascading effects on adult social behavior. In species with bi-parental care, both parents invest heavily in rearing offspring. Individual variation in paternal care received when young, could result in variation in social behavior when mature. We have been conducting several studies investigating the influence of paternal care on social behavior and neural development in prairie voles. Some of our earlier work has indicated that male prairie voles vary in the degree to which they investigate females. Moreover V1aR and OTR expression in the lateral septum appears to predict male propensity for social investigation, a common indicator of social recognition and memory. Characteristic neural and behavioral phenotypes observed in the lab, such as social investigation and recognition, may relate to peptide neuromodulation of alternative reproductive tactics adopted by prairie voles in nature. Some of our most recent preliminary data suggest that the influence of early social experiences shape the neural phenotype (e.g., vasopressin and oxytocin), and behavior (e.g., social approach/investigation, and boldness) at sub-adult ages, which may be important first-pass influences on reproductive choices as sexually mature adults. Our lab is working to investigate the extent to which social experiences during development determine social behavior later in life.